The man who organized Nazi-palooza and brought together one of the biggest crowds of racists outside of Donald Trump rallies and Boston sports events was charged with committing perjury on Tuesday. 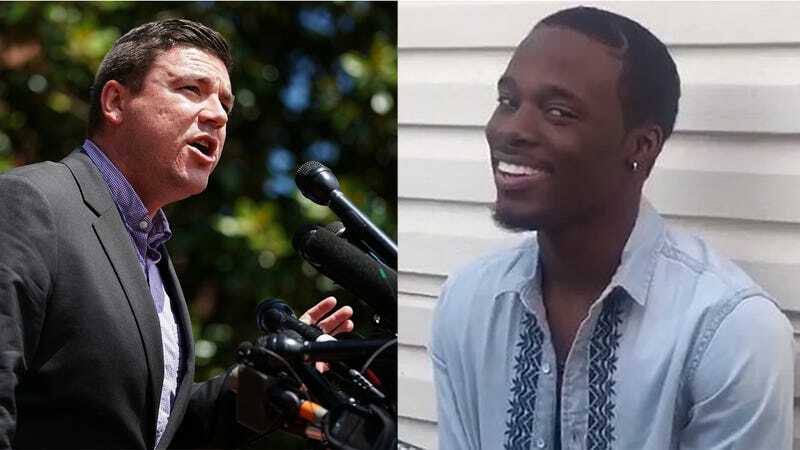 According to the Washington Post, on Tuesday an Albermarle County, Va., grand jury indicted 34-year-old Jason Kessler, the main organizer for Charlottesville, Va.’s Unite the Right rally. Police issued an arrest order for the man whose August gathering sought to unify the disparate hate groups scattered across America, but it is unclear whether Kessler has been arrested and booked. Kessler used these tweets to call Bellamy a “blatant black supremacist” and charged that Bellamy held a “deep-seated racial animus towards white people.” As you can imagine, Kessler was furious when Bellamy was elected vice mayor of Charlottesville. Since Bellamy’s election, Kessler has been on a crusade to get him removed from office. On Jan. 22, Kessler was outside a mall gathering signatures to have Bellamy ousted when, he claims, a man named James Justin Taylor attacked him, grabbed his arm and assaulted him. But when the cops found surveillance video, it showed that Kessler actually attacked Taylor and punched him in the face. Taylor was cleared, and Kessler was given a 30-day suspended sentence and 50 hours of community service. He is now indicted for lying on Taylor during those proceedings. In Virginia, perjury is a Class 5 felony, punishable by up to 10 years in prison and a $2,500 fine. Kessler is well-known for blogging about the “white genocide” movement, which believes that diversity and multiculturalism will eventually lead to the elimination of the white race. He joined with prominent “alt-right” figures in an effort to unite white nationalist groups for a “show of force” at his Unite the Right rally Aug. 12, where Heather Heyer was killed. Since then, Kessler has mostly been in hiding. One assumes that he is barricaded in a basement throwing darts at a picture of Bellamy and chanting, “You will not replace us” by the warm glow of a tiki torch. Rest in peace, Jason Kessler.